This project shows you how incredibly slow I am with handwork. 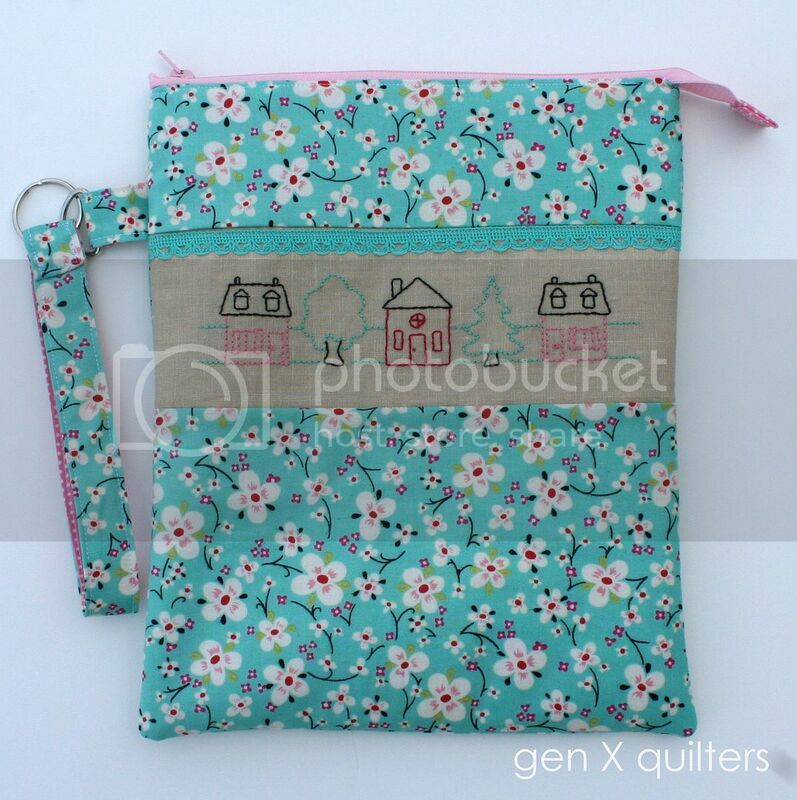 I currently have 2 hand sewing projects that were stored in the same "handwork" pouch. My snail's pace on each project indicated I needed (wanted) a separate pouch for each one. I decided to go for it with this Farmdale print from Alexander Henry I've been hoarding for a few years. Better to use it than sit in my stash. 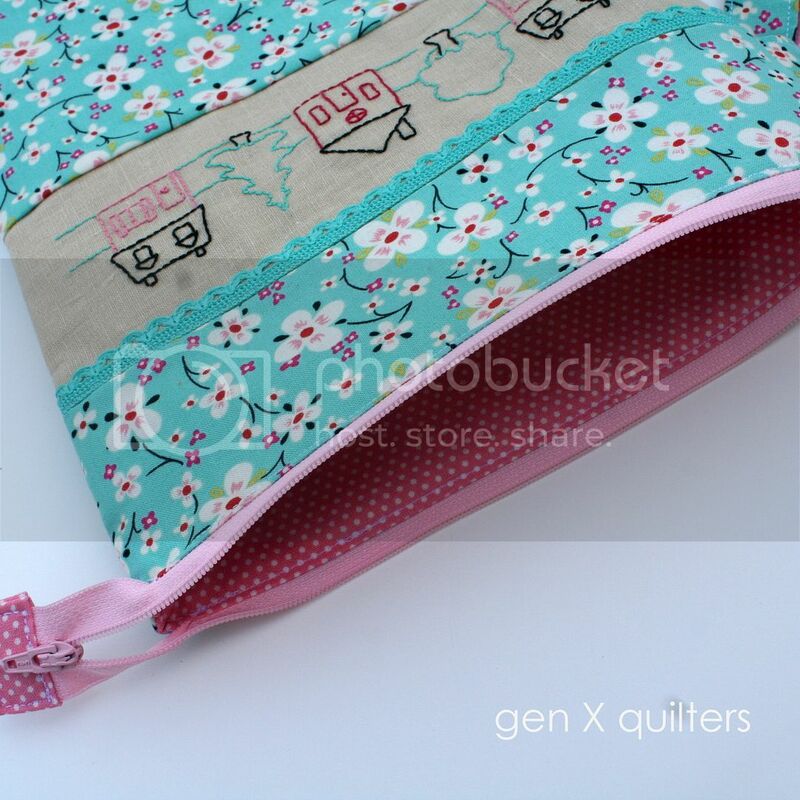 I chose this sweet and feminine polka dot print for the lining. 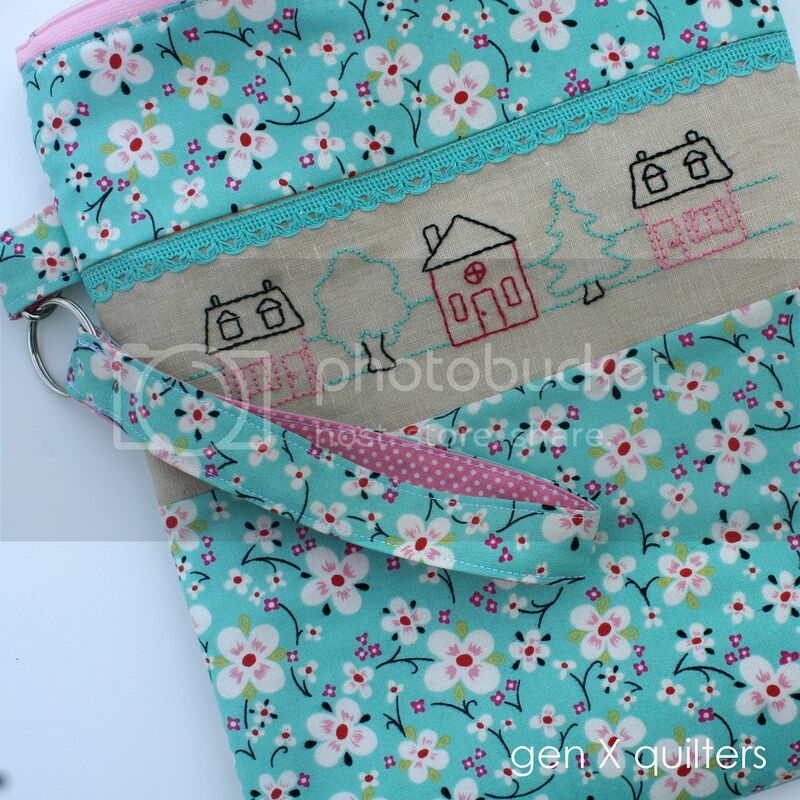 It lines the pouch, all the straps and perches on the end of the zipper tab. I randomly picked up this adorable aqua lace trim in the dollar aisle at Target a few months ago. I think it's supposed to be a scrapbooking supply. 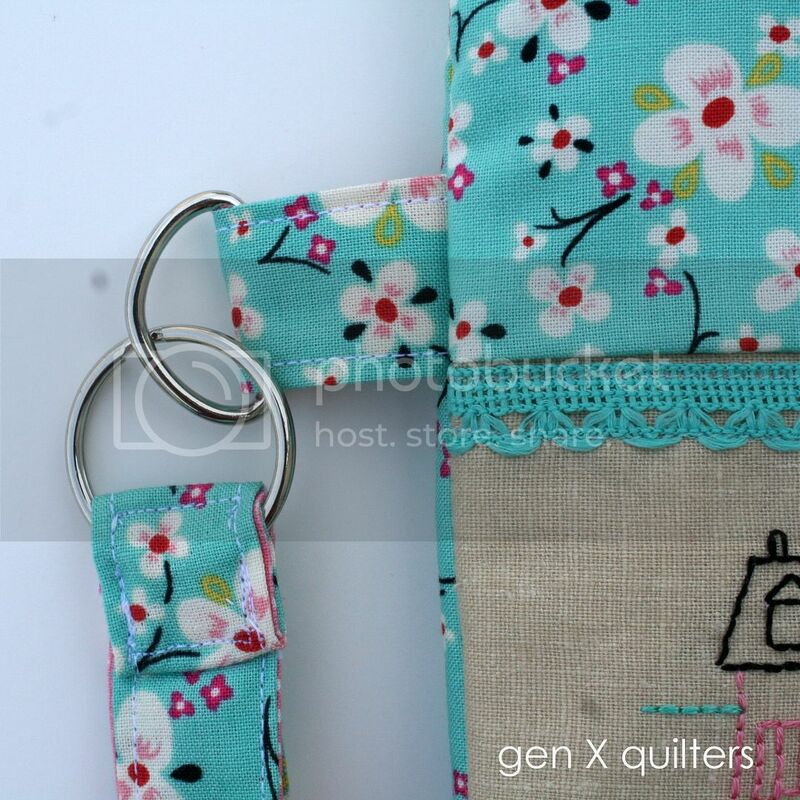 It matched perfectly with the Farmdale print and I love the extra femininity it adds to the embroidery on the front of the pouch. I've decided I need a stash of laces and trims. Already I've found 2 different projects to use the only 16" I had. Where are you buying trims? I'd love to hear your finds! FREE EMBROIDERY PATTERNS/COLORING PAGES: I found this embroidery pattern via my kids winter hobby - coloring. This year's long winter means we went through a ton of ink and who knows how many Ninjago/Angry Birds/Monster Trucks coloring sheets. While surfing through coloring pages for kids, I found these awesome mandalas. They are meant as coloring pages, but I immediately saw them as embroidery. 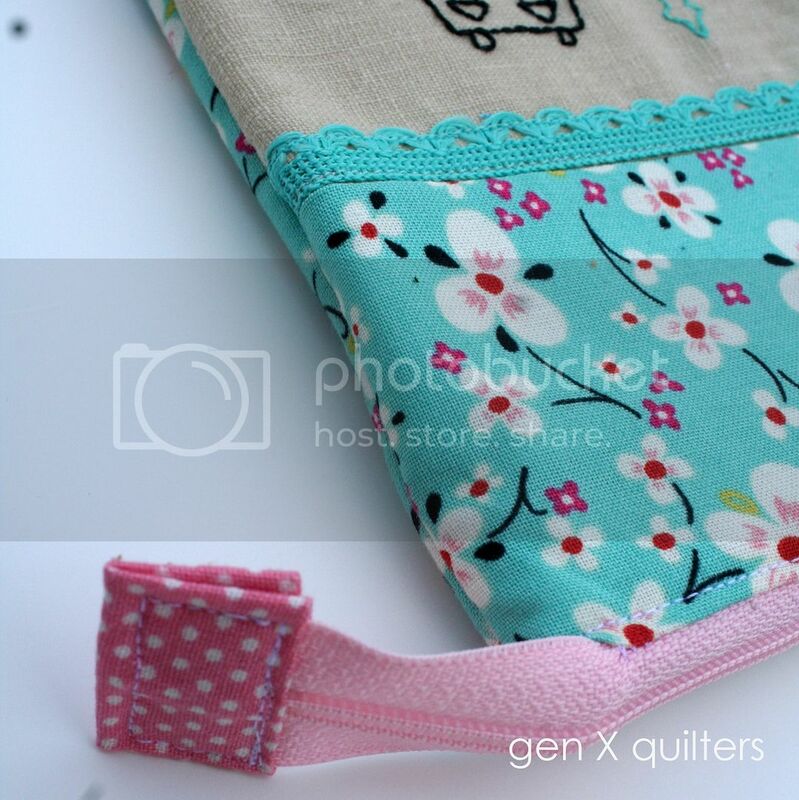 The page I used for this pouch is here (it's the straight strip at the top). And here is the collection of mandalas if you would like to browse the other designs. I simply printed it out and traced the image onto fabric on my back door window. I can see more of these in my future! So.... somehow, in avoiding doing the actual hand stitching projects I am working on.... 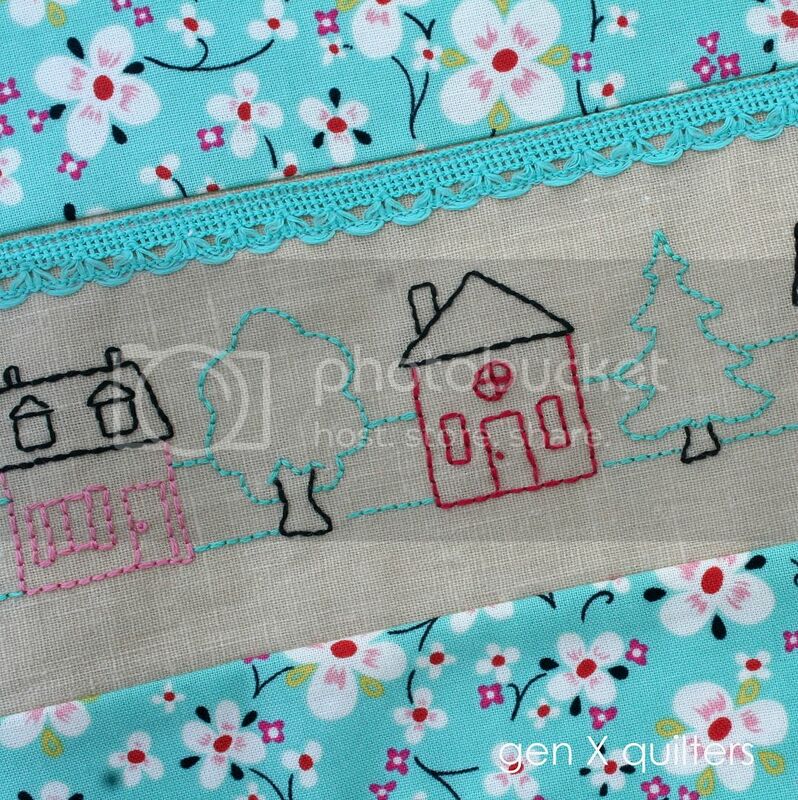 I went ahead with stitching and sewing together a completely different project. How does that happen?